I love these easy ways to wear a scarf to warm up the holidays this year! I so often have just simple classic colors in my wardrobe, that a little something different is just what I need to pull things together. Scarves are a favorite, and I love the way they can change an entire outfit to make it look beautiful and pulled together in an instant. 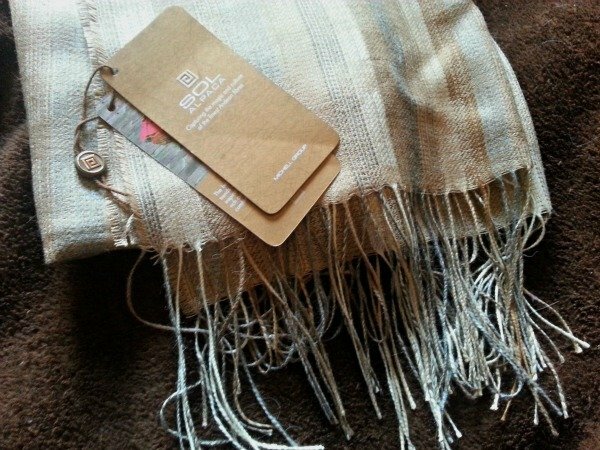 This year, I was given a beautiful SOL ALPACA scarf to review courtesy of their collaboration with Mom It Forward. I was happy to share with you how lovely it is, and found that it is it is the ideal way to warm up the holidays! SOL ALPACA is a textile brand that provides an amazing variety of products from scarves to coats and sweaters that r made from the best fiber available to them. 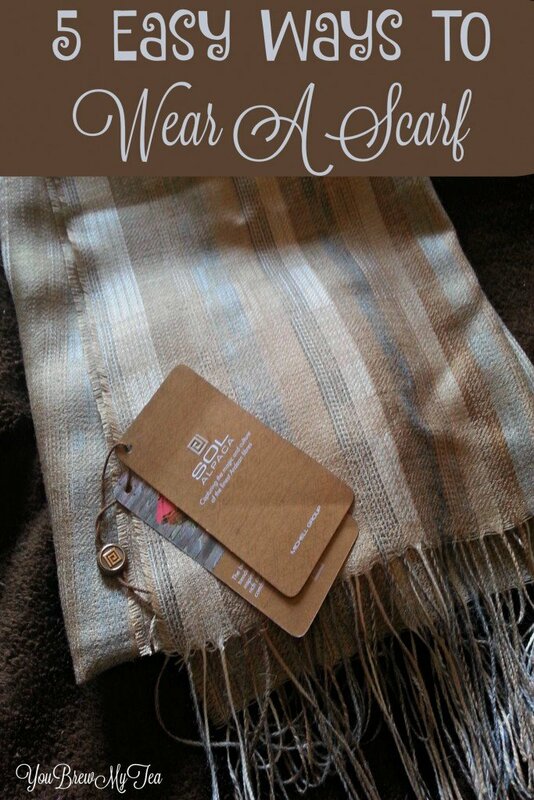 This online store featuring Peru’s finest textile products is the ideal place to find a lovely scarf, jacket, shirt, shawl and other beautiful woven pieces featuring alpaca fibers. Did you know that there are 32 natural shades shown in the fibers used to create the lovely pieces provided by SOL ALPACA? You can take a mental trip to Peru and the Andes as you enjoy the delicate and luxurious fibers that make up the beautiful and superior quality of the SOL ALPACA line of products. I love the cream, tan and light blue undertones of this simple yet soft and luxurious scarf. It fits perfectly into my favorite muted earth tone wardrobe. I am a sucker for not just scarves, but unique pieces. I love wearing something that makes a statement and isn’t like the other scarves I see in stores in my city. I want to look and feel unique, and that can be tough to do. This beautiful SOL ALPACA scarf was a perfect choice to accent a simple white blouse, black tunic sweater or to use as a head wrap on those days when I just want my hair up and out of my way, yet sophisticated. Around your neck and tucked into the inside of a button up shirt. This works best with longer scarves. You can wrap 2-3 times and then tuck creating a fun bright statement at the collar of a crisp button-down shirt. As a wrap or turban to cover hair. Put your hair in a simple ponytail or bun, then wrap the pieces of the scarf around your head and secure with a tie or bobby pin in place. You can cover part or all of your hair this way. There are tons of great tutorials online for wrapping your hair! Looped gently around your neck. One single loop around your neck over a simple sweater or blouse is a classic and easy way to wear an accent scarf. As a headband with long ends hanging beneath your hair. Tie a scarf under your hairline letting the ends dangle down and the middle create a beautiful and elegant headband to keep your hair out of your face while adding a bit of style. As an accessory to your favorite peacoat. Scarves are the perfect accessory to bring a pop of color and sophistication to a utilitarian peacoat or blazer this winter. You can present a beautiful and warm gift this year with a scarf, sweater, shawl, shirt or even jacket made by the luxurious quality brand SOL ALPACA. With high-quality products available in a wide range of prices, anyone can afford this luxury gift item for their holiday gift list. This is perfect to tuck inside a gift basket, as an accessory alongside a new winter coat, or to simply use as a bow on top of a gift that can also be worn later.